Building & Industrial supplier in Sebastopol, Mesh & Masonry provides building supplies such as power tools, compressors, welding gear, hand tools, generators and so much more. Mesh & Masonry stock power tools, compressors, welding gear, pressure washers, hand tools, workshop gear, storage equipment, generators, safety gear, steel, bricklaying and concrete supplies, roller doors, panel-lift garage doors and even fences, gates and fittings. Mesh & Masonry has been servicing the trades and industries of Ballarat and surrounds since 1987. As part of the national Australian Industrial Supplies (AIS) buying group, our huge range of products, competitive pricing and our personal, expert service means that whatever your needs are in building and industrial supplies, Mesh and Masonry will meet your expectations. 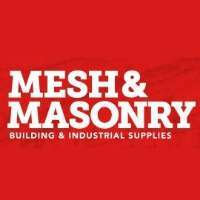 For inquiries, don't hesitate to call Mesh & Masonry today!